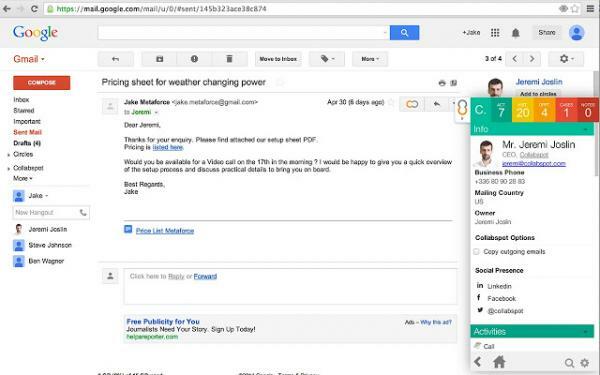 Do you use Gmail or Google Apps for Work in addition to SugarCRM? 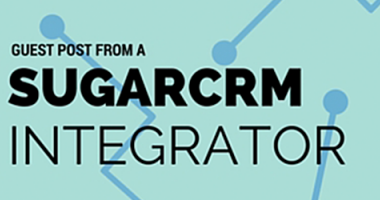 Are you constantly switching between SugarCRM and your email? Or do you feel that manually transferring data and content from emails into CRM is time consuming? 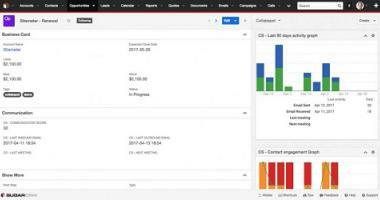 Meet Collabspot, a Google Chrome Extension that brings SugarCRM into Gmail while helping to increase productivity by 20%. Collabspot adds a SugarCRM panel directly into Gmail so that users can perform common SugarCRM related tasks without ever leaving Gmail. This puts SugarCRM information at your users’ fingertips who interacting with contacts in Gmail. No other add-on we have shown before for SugarCRM generates as much enthusiasm as Collabspot for Gmail. We were lucky to chat with Laurent Gasser, the Chairman & CEO of Collabspot and learn more about the history of the company as well as get a deeper dive into their product. Collabspot was founded in 2012 in France when Jeremi Joslin, Gino Tria and John del Rosario decided to develop a project management application using Highrise. While working together, they changed their business model to focus instead on integration within Gmail. To help speed up their process they joined JFDI.Asia, one of the largest Singapore-based seed accelerators, which is where they met Laurent Gasser. Fast-forward to today and they are headquartered in Singapore and are easily the most popular Gmail integration with SugarCRM. 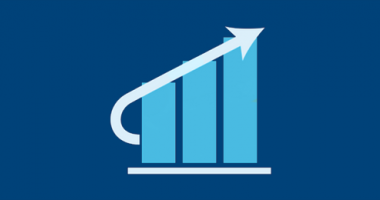 Customers consistently report that Collabspot saves them up to 90 minutes of time per user per day and up to 10% increase in a deal closing success rate. 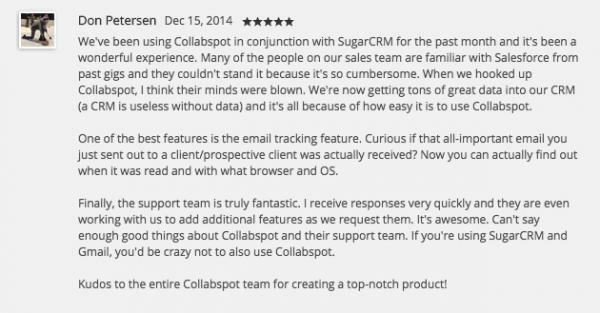 With a close to 5-star rating in the Chrome Web Store, users can’t say enough positive things about Collabspot SugarCRM 7 for Gmail extension. Adds email productivity features such as social media information, reminders, emails templates and email tracking. 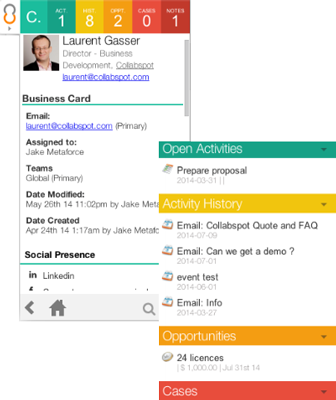 Collabspot’s interface easily integrates SugarCRM with Gmail and Calendar to allows for an easy and seamless flow of information. Pricing for Collabspot starts from $9 per user per month. To learn more about Collabspot please contact us and we’ll be happy to show it to you. Sugar users can now utilize Collabspot Connect Pro to spot the signs of deal slippage early on so they can save time and update their pipeline accordingly. 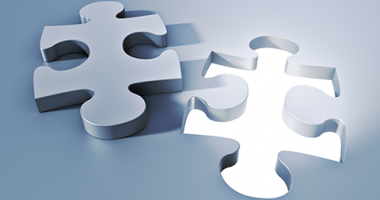 A guest post from Collabspot with three actionable ways to improve your CRM data.